May 30, 2016 By Brent T. Wheat & filed under All Articles, Survival. One positive benefit of cellular telephones is the ability to easily summon assistance whenever you have a problem. But though the networks stretch from coast to coast, there are still vast areas, even along interstate highways and in population centers, where cell signal is absent. If you have an emergency in those places, there is no longer a pay phone on the corner, and you’ll find yourself back at the turn of the 20th century in terms of calling for help. One way to fill in this communications gap is with an outrageously expensive satellite telephone. But a better and less costly option exists: satellite-based personal emergency locator beacons. 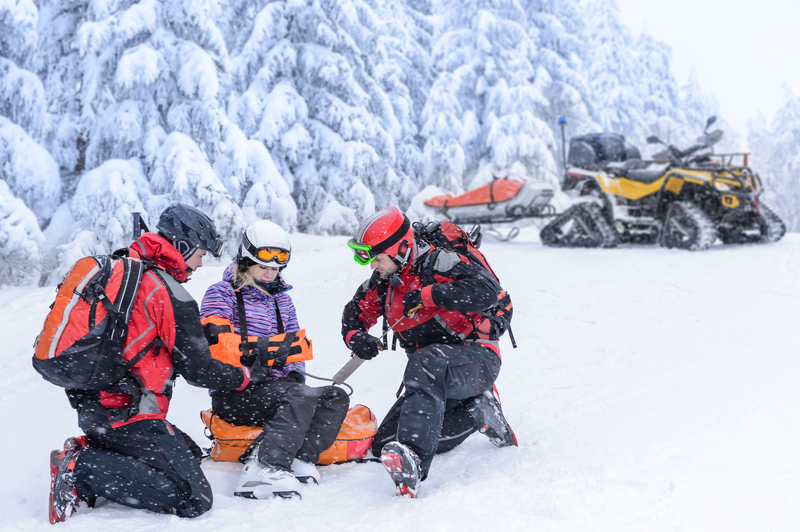 While most often sold to outdoor sports enthusiasts, satellite rescue devices are not just for mountain climbers and backpackers. Regardless if your problem occurs on a glacier or along the interstate, the satellite emergency beacon is a great tool for any prepared American to own, even if your idea of wilderness adventure is a trip to Disneyland. Many people agree that carrying one of these devices makes sense, but are frequently put off making a purchase because they become overwhelmed by the various choices. To help, we’ll cut through the technological background information and marketing hype so you can make a decision about which system is best for your particular needs. Before considering a particular device, you need to understand that two primary types of emergency beacons are available, each with strong and weak points. Owners of SPOT Gen3 would be smart to user rechargeable NiMH batteries instead of costly lithium AA cells. 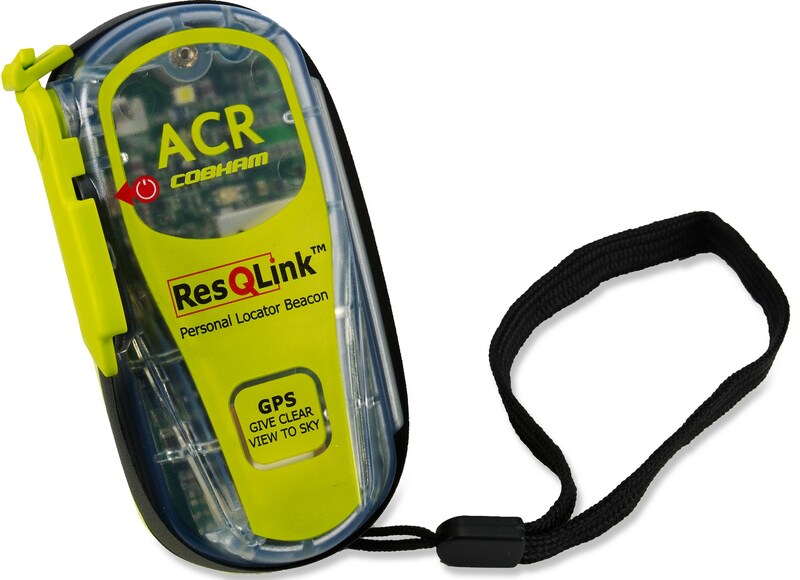 The Personal Locator Beacon (PLB, as typified by ACR ResQLink) operates on a government-owned Cospas-Sarsat 406 MHz satellite network. This means that a PLB works with an extensive, robust satellite network operated by several national governments, and directly interfaces with Search and Rescue (SAR) authorities such as the U.S. Air Force. The benefits of a PLB are many: redundancy of failure points, widespread adoption throughout the world, higher-powered signal, better antenna, no monthly fee, and direct response by appropriate SAR authority. Some also transmit a radio signal that can be received by aircraft or teams equipped with radios to home-in on the victim. Overall, a PLB is a professional-grade rescue device. But these benefits come at a price: the units are often more expensive than other types, are typically heavier, require an expensive factory battery replacement every few years and, most importantly, only offer the ability to send an SOS message. The second category of satellite beacons are Satellite Emergency Notification Devices (SEND). The lighter SEND devices, such as the SPOT Gen3 Satellite Messenger and DeLorme inReach SE, operate on a private network of satellites. They offer an array of user-friendly features such as light weight, user-rechargeable or replaceable batteries, and the ability to communicate beyond simple distress calls. The DeLorme models even offer two-way messaging capability. Downsides? The satellite communications systems are privately owned and route emergency calls to a non-profit third-party response center, so there is a greater theoretical possibility of system hiccup even though they have proven remarkably robust and reliable. In fact, SPOT claims they have initiated over 3,500 rescues as of July 2015. For this level of reliability, you pay a significant yearly monitoring fee. A larger actual concern with SEND devices is, due to their lower power and smaller antennae, failure of messages reaching the satellite. As satellite transmitters require a relatively “clean” view of the sky, failures of the SEND devices in challenging conditions are understandable. Other types of beacons are also sold. One well-known item is the TracMe Personal Locator Beacon. It is not a satellite device but a simple radio beacon that transmits a low-power signal that can be triangulated by responders. It is relatively expensive for its abilities and offers no emergency notification capabilities. I mention it because it is often confusingly sold alongside satellite devices. Larger satellite beacons such as the EPIRB and ELT are required equipment on passenger ships and aircraft, respectively. While such devices work like a PLB, they are typically not optimized for hand carry. Also beware that some older devices (prior to 2009) operate on frequencies that are no longer monitored. 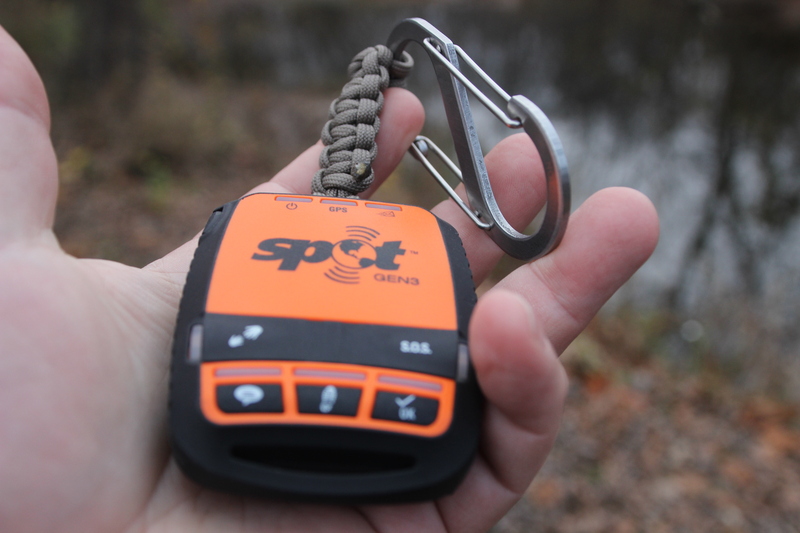 PLB units work very well for a single task, signaling for help, which is why the market leaders are the more-versatile SEND devices offered by SPOT and DeLorme. With their ability to send tracking information and communicate beyond the simple “I am in serious trouble” message, SEND devices are perfect not only for travelers but also anyone who needs to communicate after a natural disaster or other major crisis has destroyed the local cellular networks and internet connections. As long as you have battery power and the satellite network is still in orbit, you have the ability to reach out beyond shouting distance. For travelers, the ability to check in with home and record your ground track increases both comfort (for loved ones) and safety (for you). In the “old days,” it was often many days or weeks before SAR was notified of a missing person, but now even if you collapse without triggering an SOS, your emergency contact person would notice if you failed to make a scheduled contact or your track has stopped. In such a case, your last message provides a known time and location for searchers to begin their efforts. All of these can be sent to up to ten email addresses and/or as text messages. In a year of real-world usage, I have not found the lack of two-way communication to be a drawback. DeLorme devices hang their hat on the ability to send two-way communications, much like cell phone text messages. Some models indeed pair with a cell phone to provide the capability, but this doubles your odds of failure, as either device could cease working at an inopportune moment. 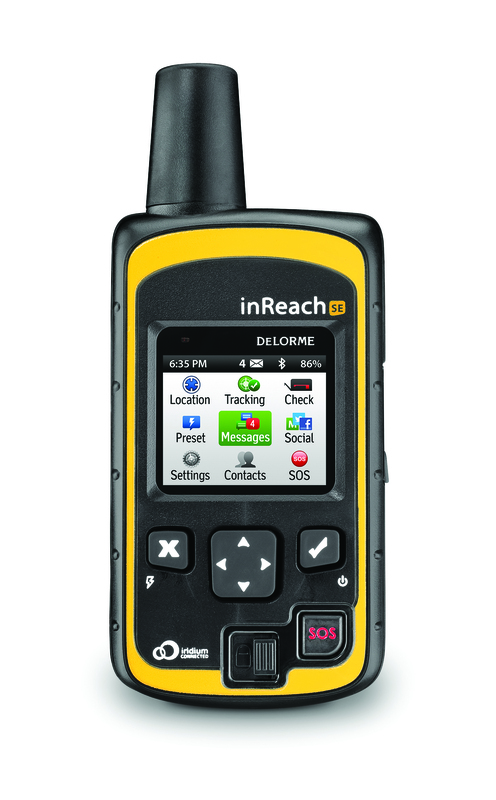 For my money, if you choose DeLorme, stick with models such as the inReach SE that don’t require an external keyboard to function. While PLBs and the DeLorme SEND units offer 100% worldwide coverage, the SPOT Gen3 devices do not, as some mid-ocean and sub-Saharan Africa locations don’t have satellites above. This means the SPOT Gen3 wouldn’t be a good choice for round-the-world sailors or those planning a safari. While tracking and sending messages are useful, battery power conservation is a concern if you are on foot or will not be resupplied for long periods of time. As an example, a SPOT Gen3 with fresh batteries will last 24 months powered off, 26 days at a 60-minute tracking interval, but only 3.5 days when tracking every five minutes. DeLorme claims 100 hours of battery life when in ten-minute tracking mode. With SPOT, you can upgrade tracking to every 2½ minutes, but this would only be useful for tracking a vehicle while powered from a USB cord. 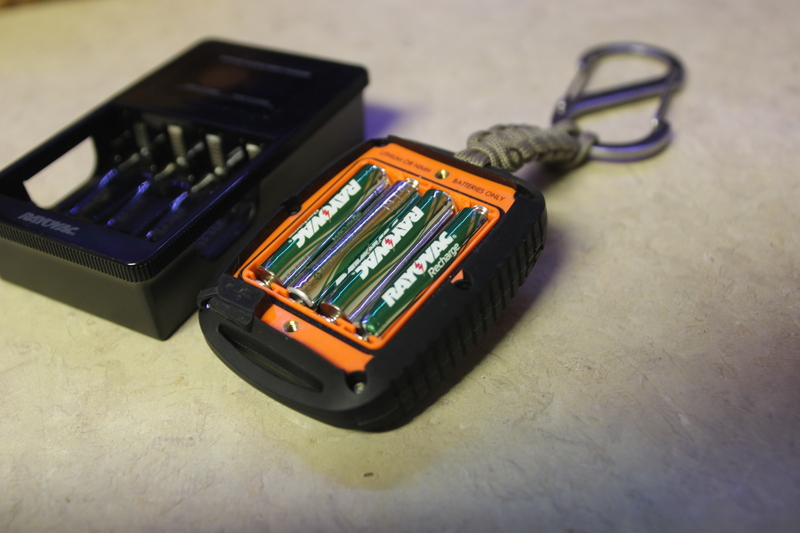 The SPOT Gen3 requires lithium AA or NiMH rechargeable batteries. Users will find it far cheaper to use rechargeables during normal operation while keeping a backup set of fresh lithium cells (shelf life: 10 years) in their pack. DeLorme units feature an internal battery that must be recharged via USB cord and power adapter. Some people consider the internal battery a major drawback, as one common failure point of outdoor and emergency electronics is dead batteries. At least with the SPOT device, you can immediately change out batteries if necessary. That reason alone is why I chose the SPOT Gen3 over other devices. Author’s satellite beacon, a vital piece of preparedness kit that he always carries, whether backpacking in the wilderness or traveling in his personal vehicle. All satellite locator devices require registration. As SEND devices are operated by private companies, you are required to provide contact and emergency information when making payment. A PLB such as the ACR ResQLink will operate without registration, but it would be foolhardy, as SAR authorities cannot follow-up SOS activation with your contact person to determine current status and well-being. The authorities will still probably send someone out to check on your location, but it won’t be a priority. Unregistered PLBs are considered a major problem in the SAR community. Satellite devices also sometimes have a bad reputation among rescuers due to countless stories of users pushing the SOS button because they were cold, tired, or lost in non-dangerous circumstances. An SOS emergency alert is only for literal life-or-death circumstances. All SEND devices use an internet website for programming, tracking, and logging. One nice feature is online tracking maps that let people follow your journey in near-real-time. A notable shortcoming of the SPOT Gen3 web interface is that GPS tracks are only saved for 30 days. If you want to keep a record of the trip, you must download the data to an external storage device and then plot it using other software such as GoogleEarth. This isn’t a huge problem, but it is easy to forget to download the information after a trip. Some users also complain about yearly monitoring fees that are automatically charged to your credit card. Much like cell phone accounts, keep track of your plan anniversary date if you want to drop the service. Most require you do it within a short window to avoid extra charges. 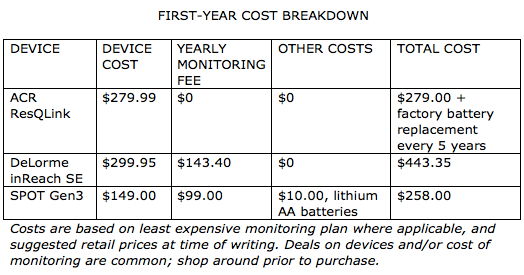 DeLorme also offers a more expensive pay-as-you-go monthly plan option. Picking the best device for your purposes will depend on what scenario you envision yourself in, how much you are willing to pay or able to afford and what features you think are most important in a PLB.